Overcrowding in the emergency room at the province’s largest francophone hospital forced staff to divert incoming patients to the nearby Moncton Hospital early Saturday morning. Overcrowding in the emergency room at New Brunswick's largest francophone hospital forced staff to divert incoming patients to the Moncton Hospital Saturday morning. Jean-Rene Noel, a spokesman for Vitalité Health Network, said at one point the ER in the Dr. Georges-L.-Dumont University Hospital Centre in Moncton was "very busy and overcrowded," so staff decided to ask for help from the neighbouring hospital. "It was very busy, and I guess people there felt at one point that they needed to divert the pressure," he said. The situation lasted for about three hours, from 12:30 a.m. to 3:30 a.m., after which the Georges-L.-Dumont hospital began accepting patients to the ER again. Noel said he was not aware of any particular incident in the Moncton area, or of any staff shortages, that led the hospital to become so busy. This comes less than a month after the Moncton Hospital was forced to close its non-acute care section for 12 hours and divert ambulances to the Dr. Georges-L.-Dumont University Hospital Centre for about two hours, due to a staff shortage. 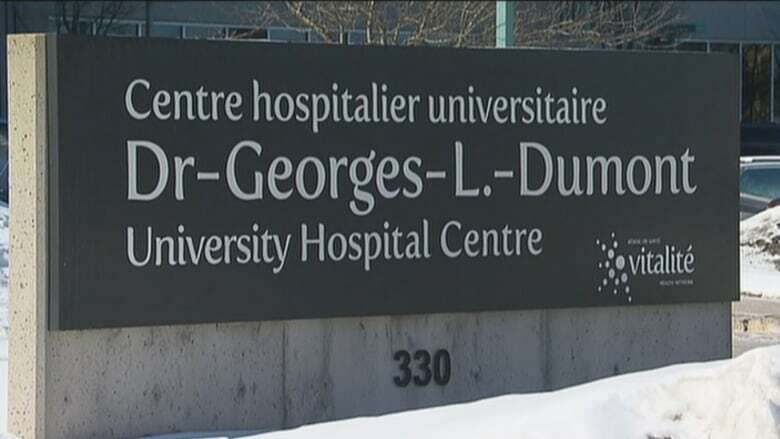 Last July, the Dr. Georges-L.-Dumont University Hospital Centre asked doctors to send all patients home as soon as possible, if they thought it was safe to do so, due to overcrowding. A memo circulated among staff also said the hospital was reviewing all new admissions from outside the region. Noel said the situation Saturday was not unusual. "When things get very busy, we rely on their extra help," he said.